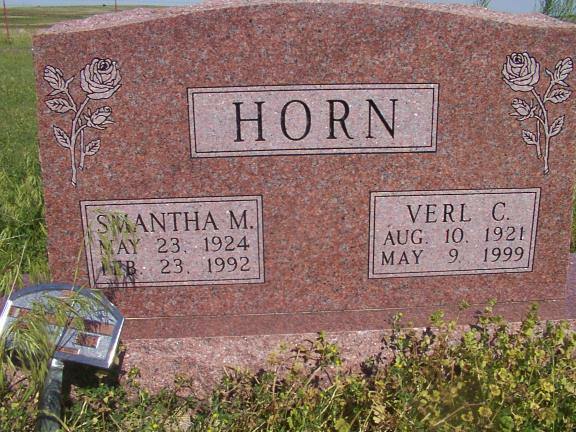 MAP: In possession of Mrs. Verl Horn, Mooreland, OK at time of canvass. 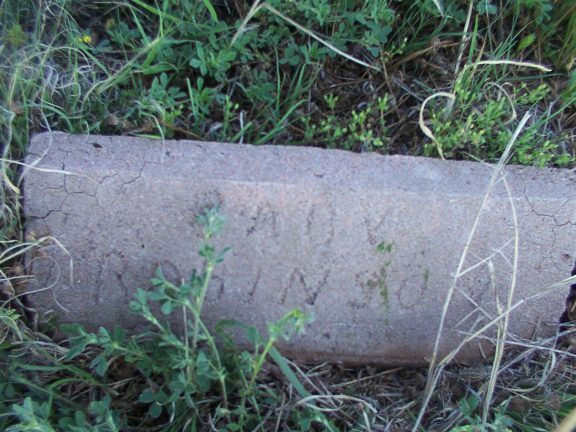 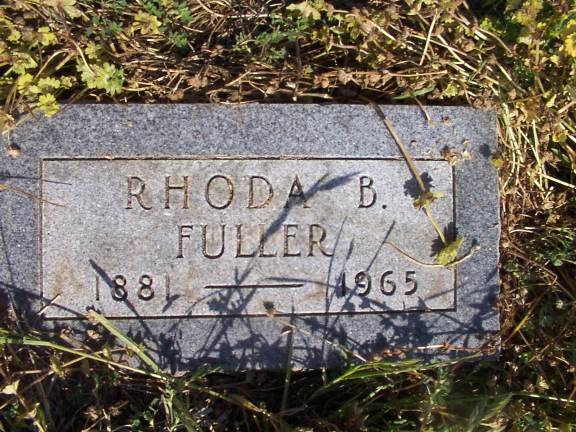 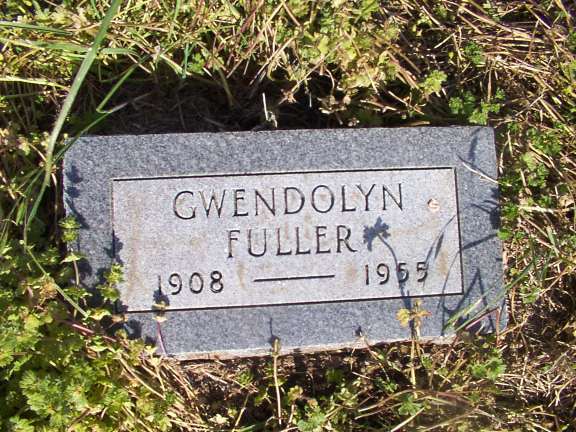 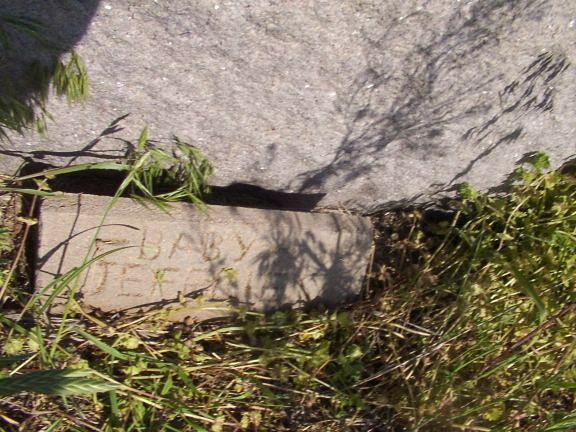 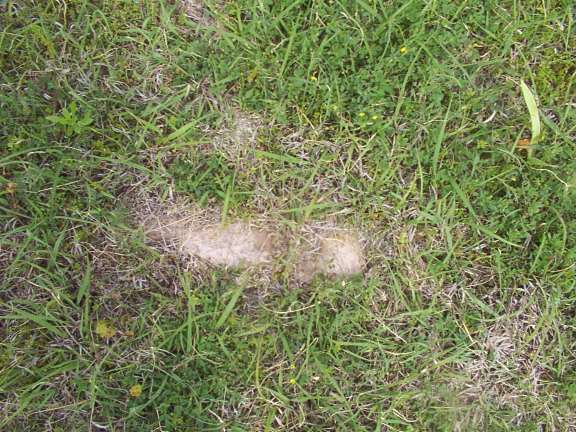 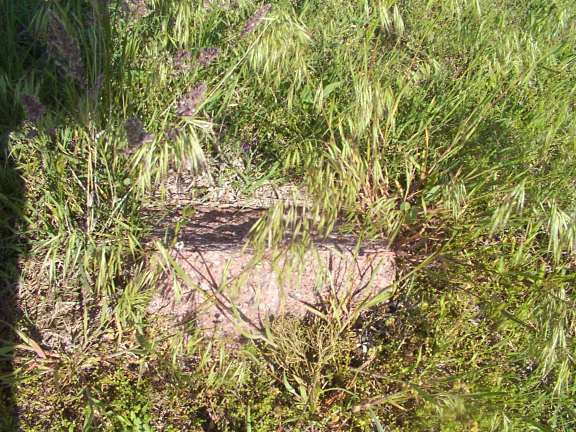 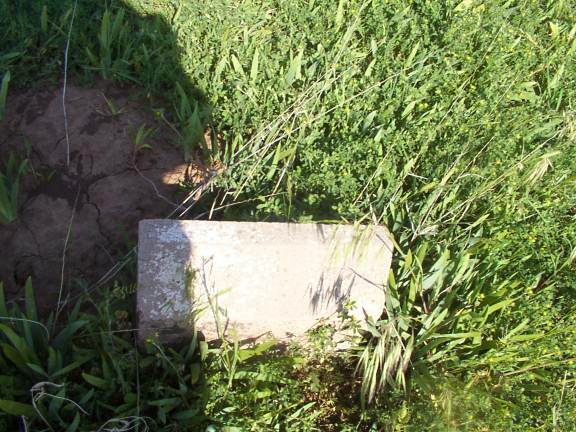 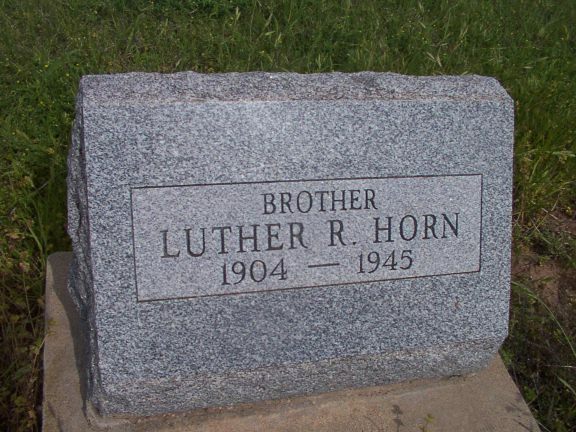 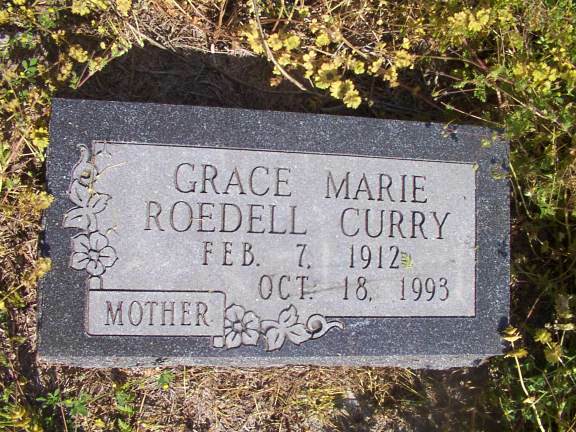 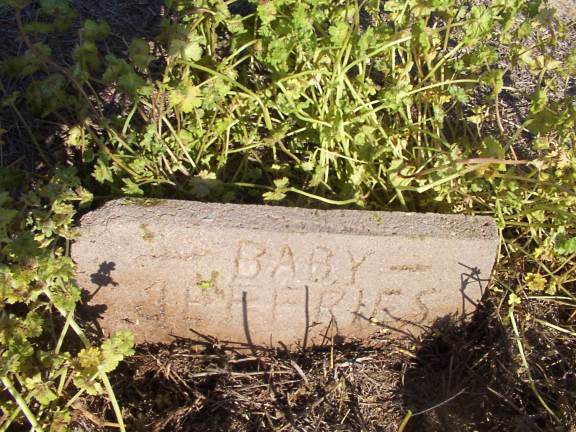 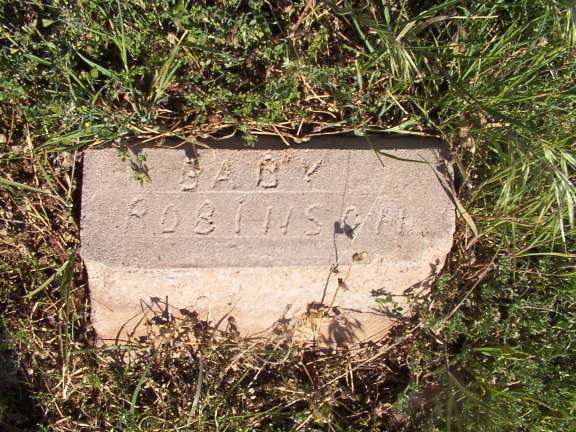 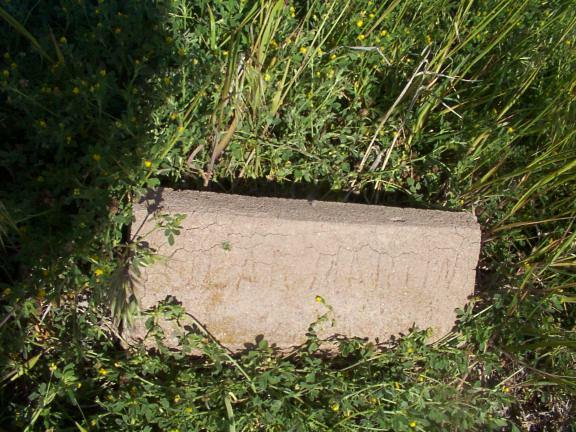 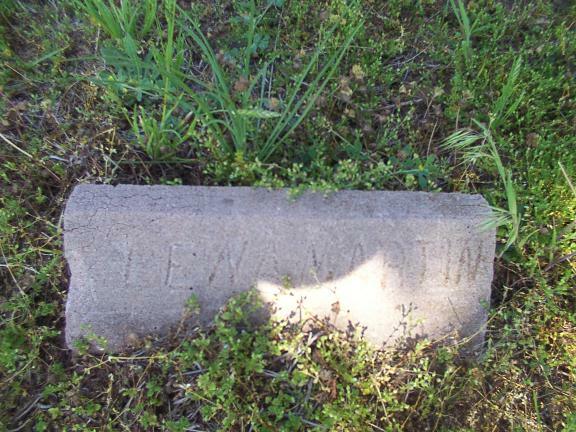 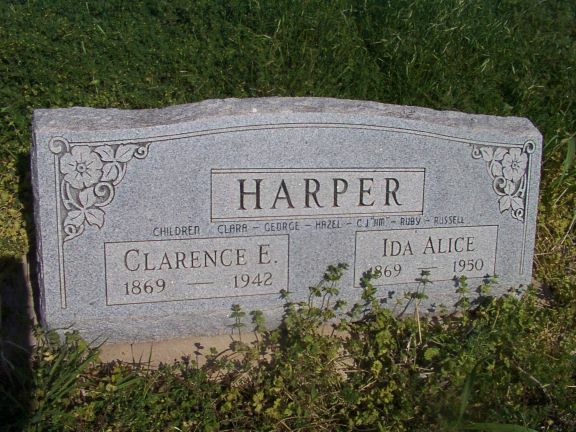 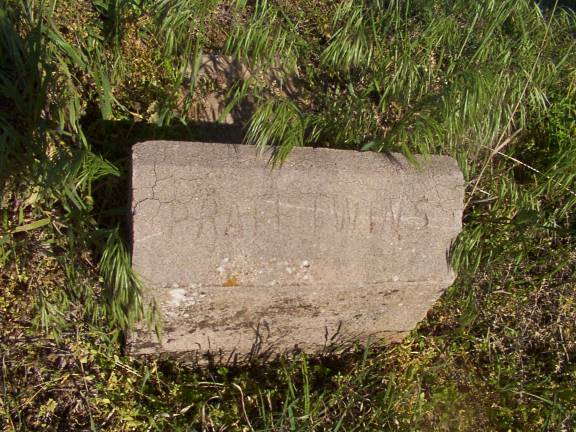 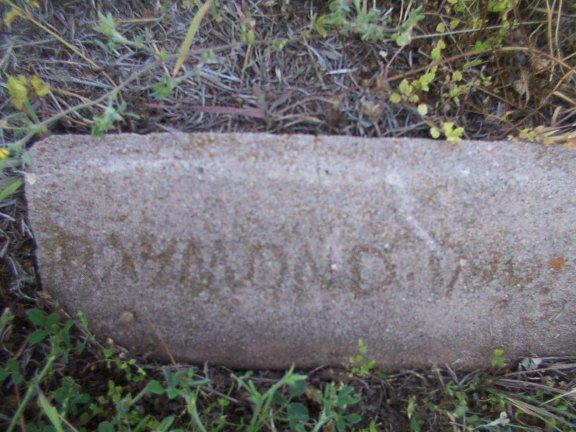 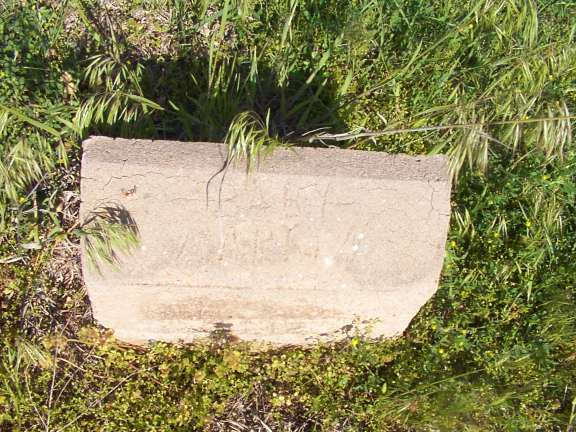 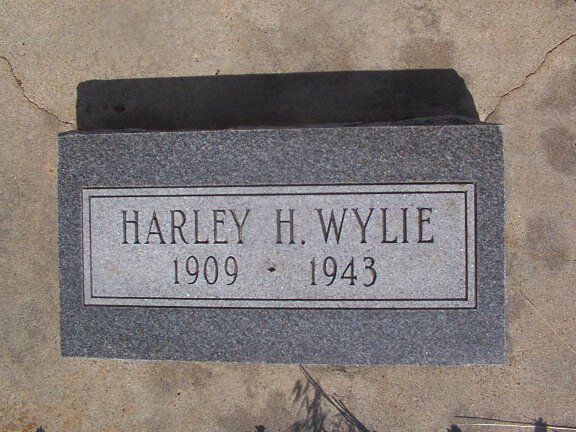 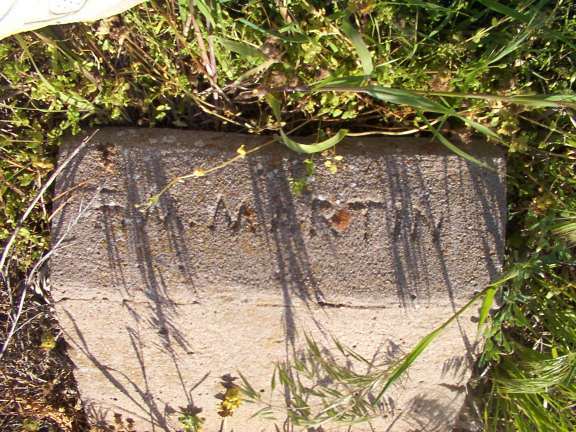 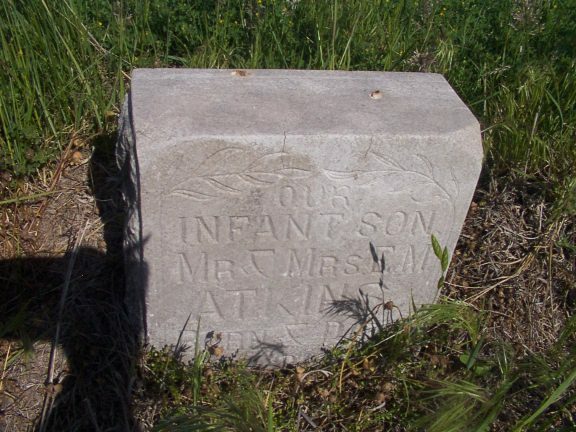 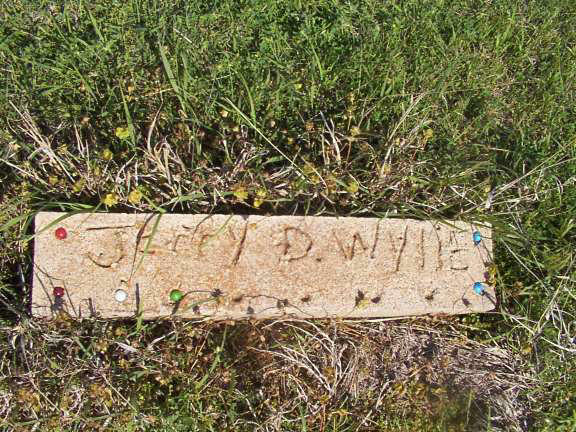 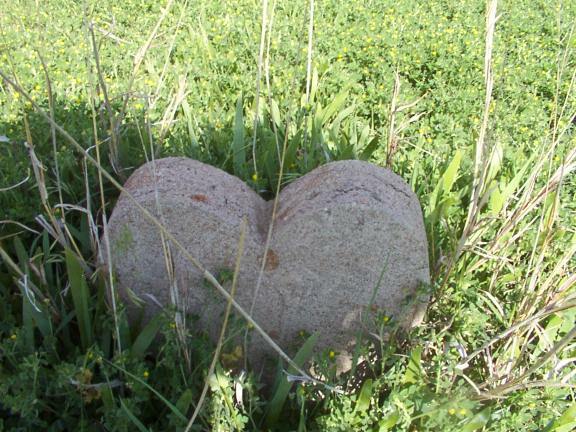 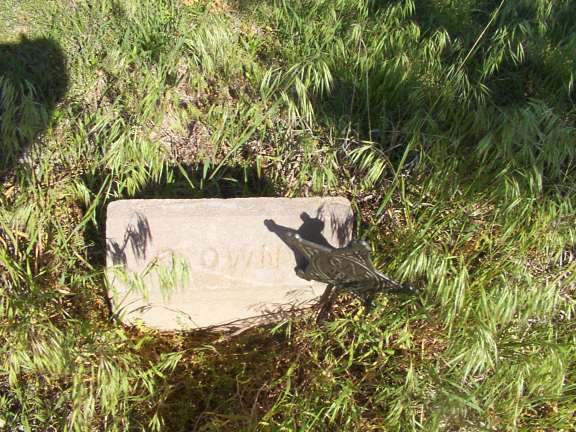 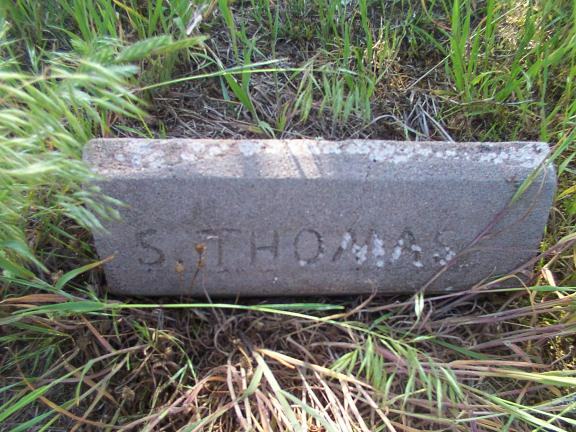 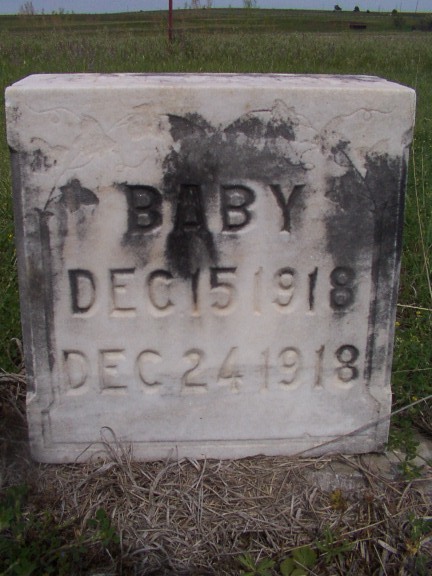 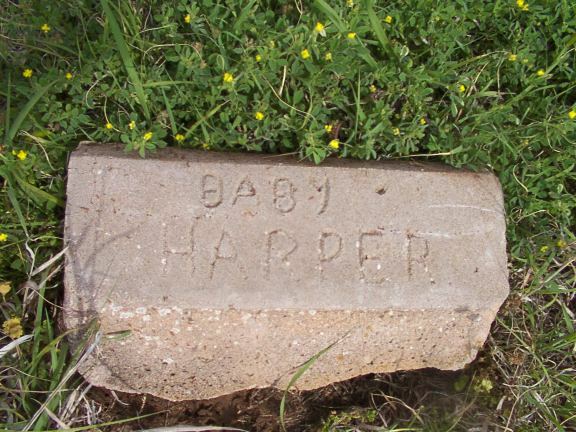 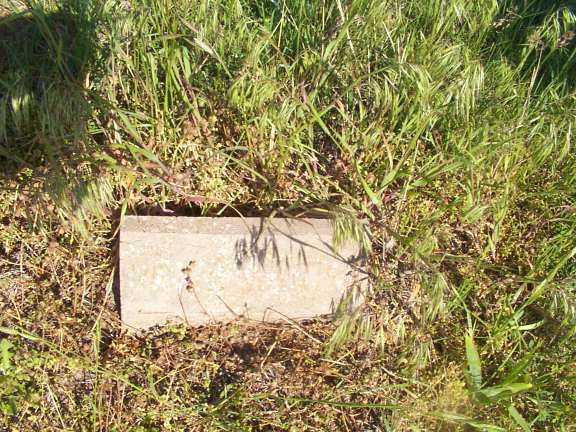 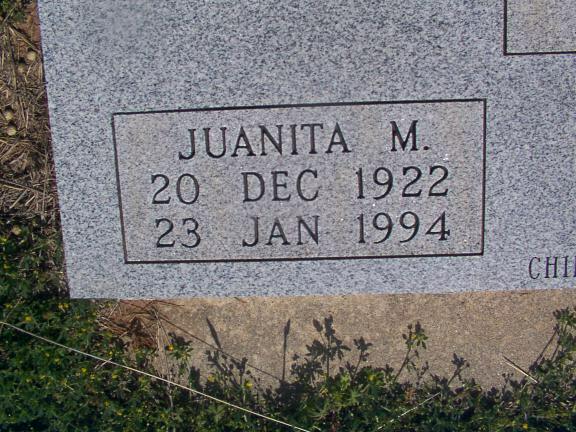 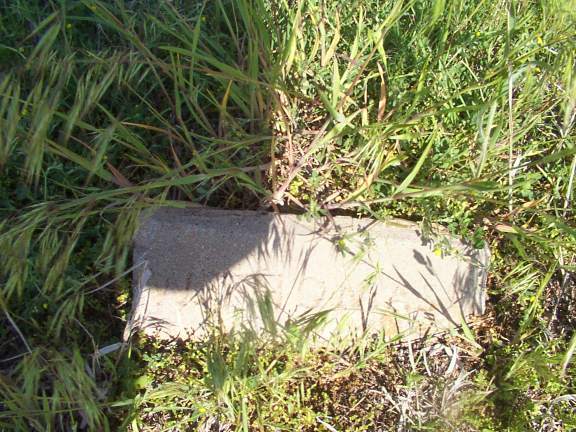 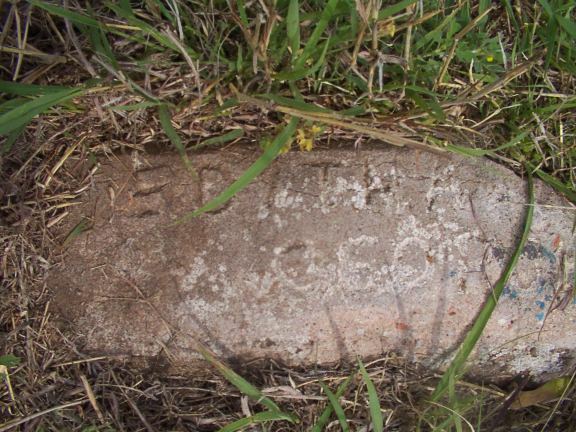 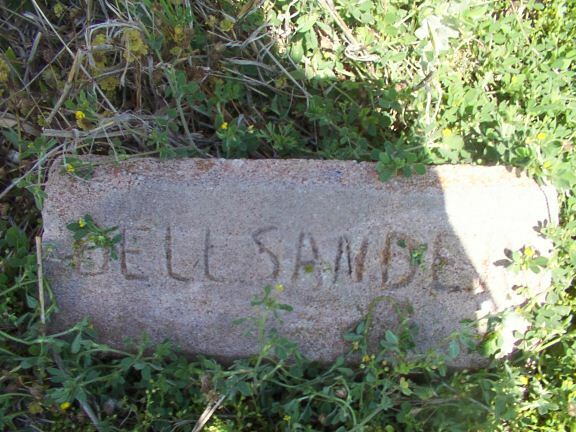 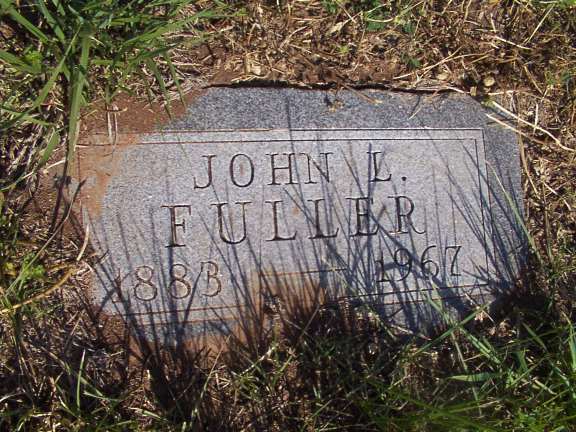 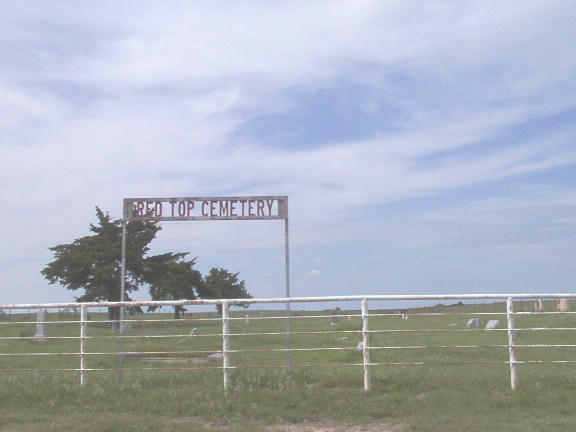 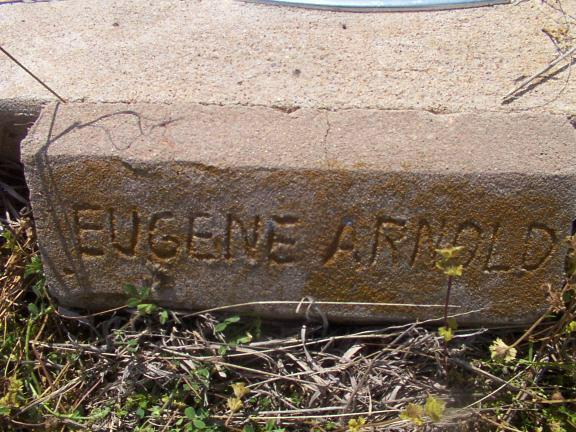 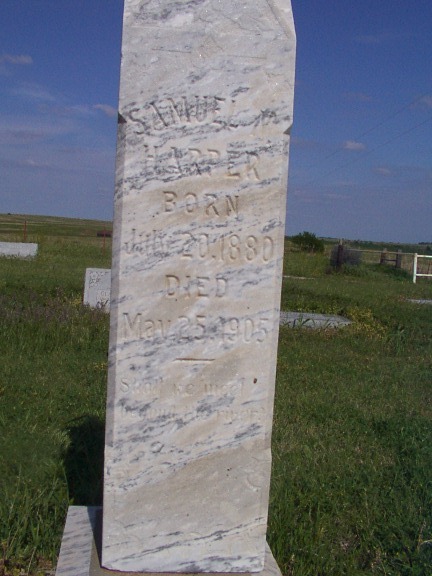 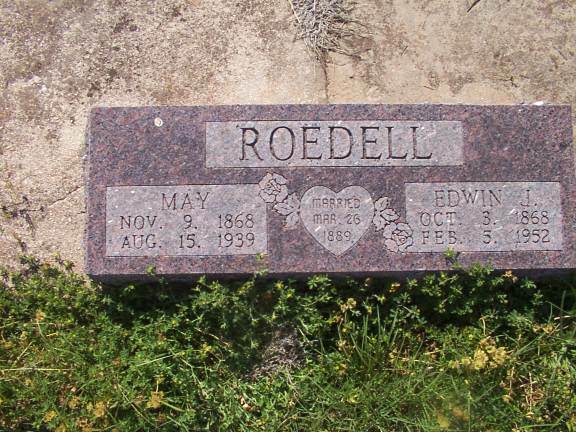 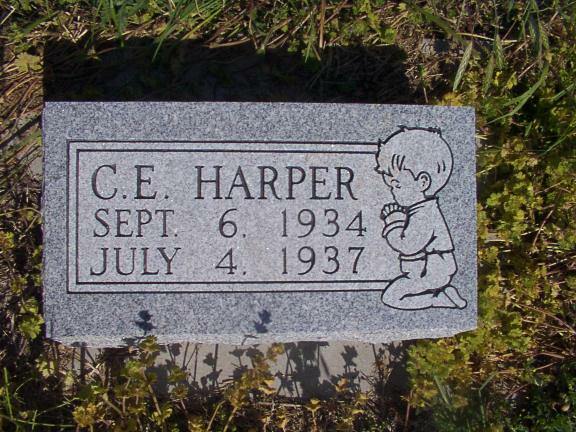 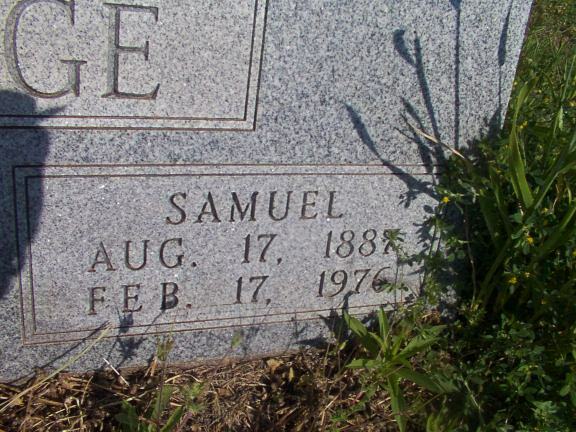 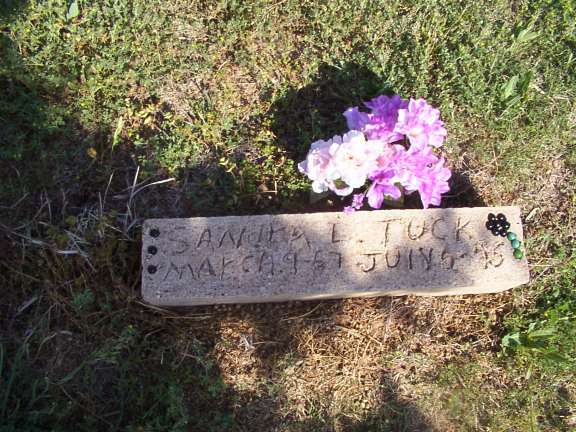 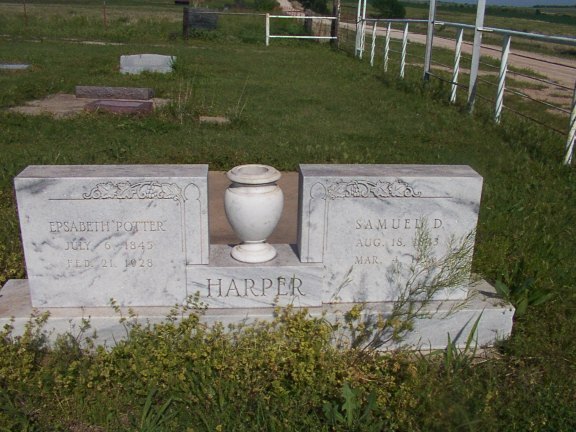 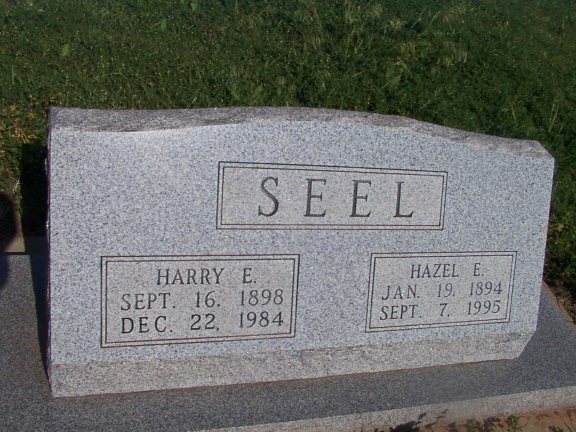 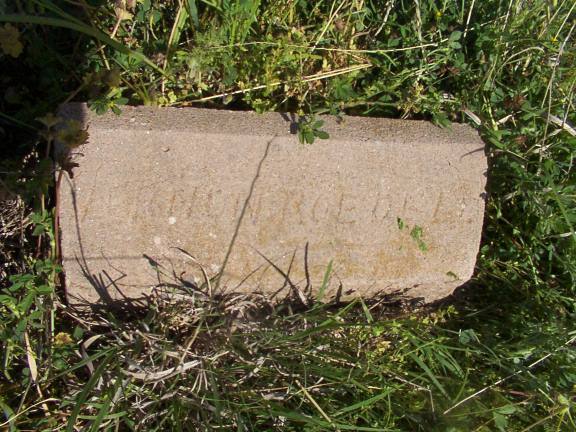 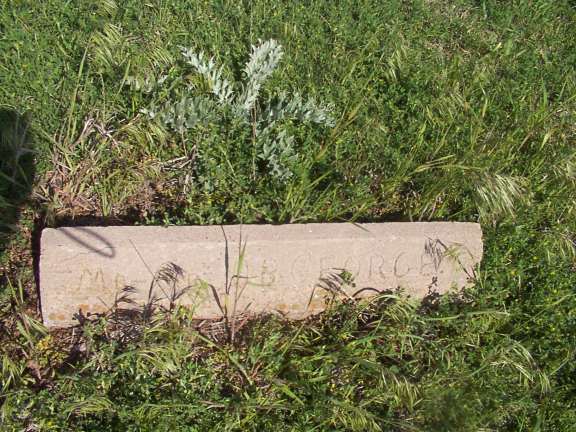 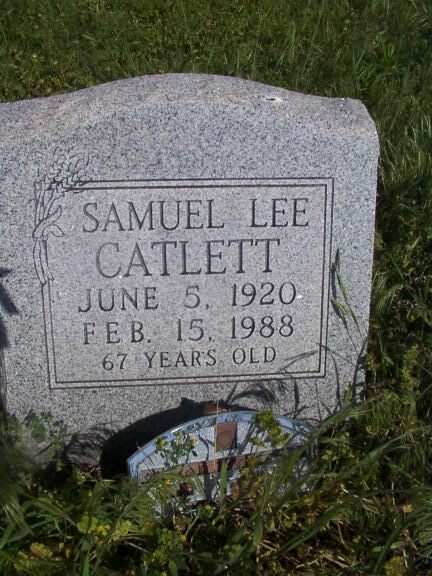 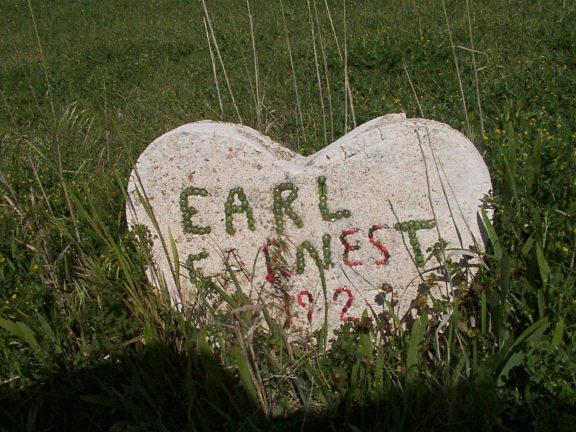 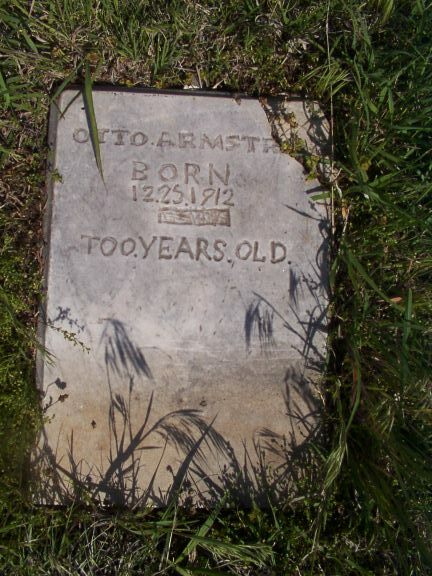 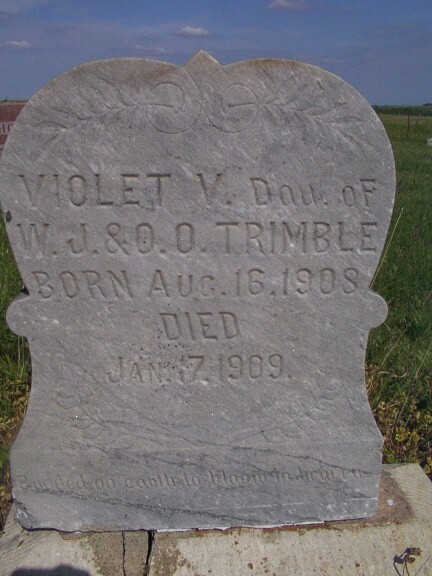 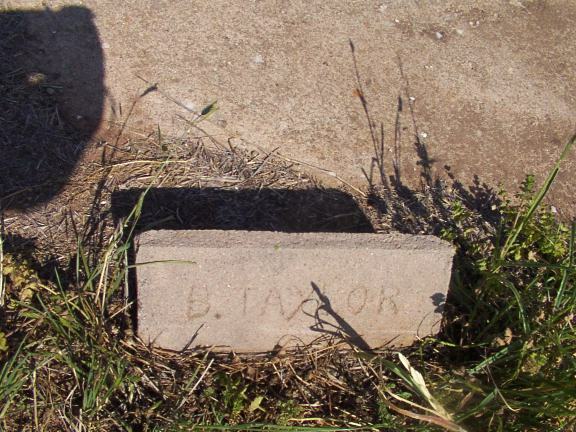 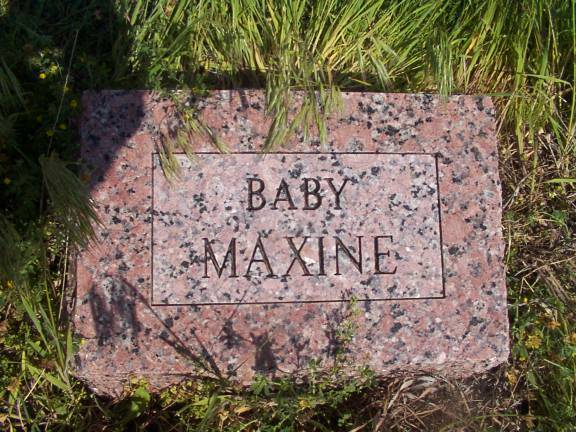 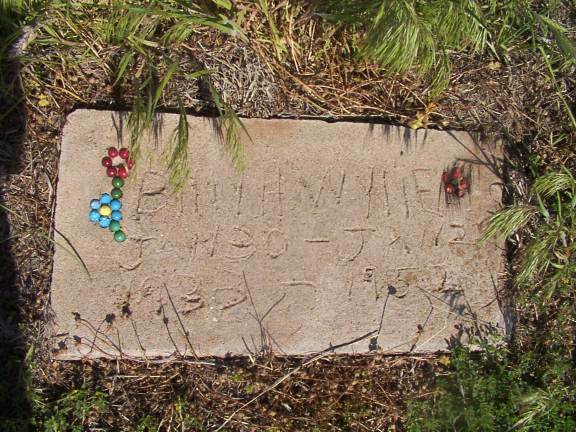 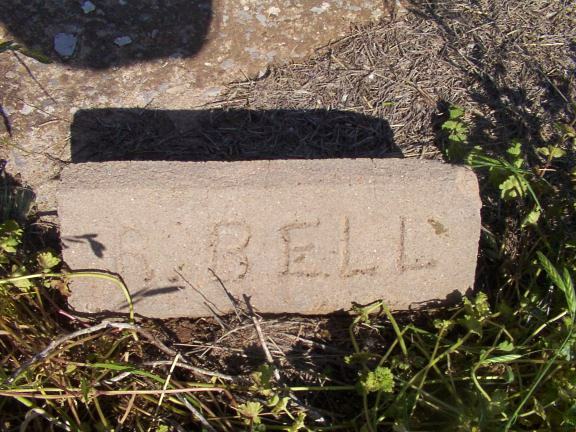 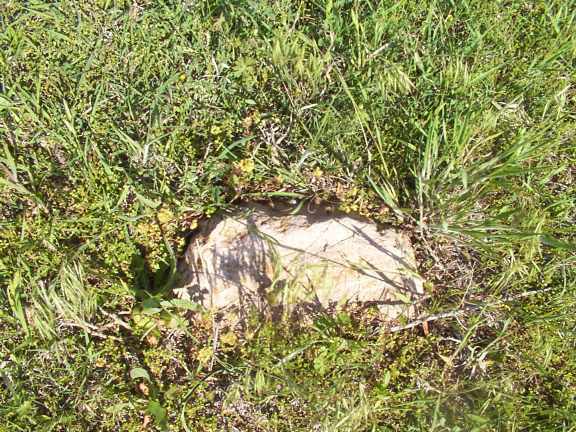 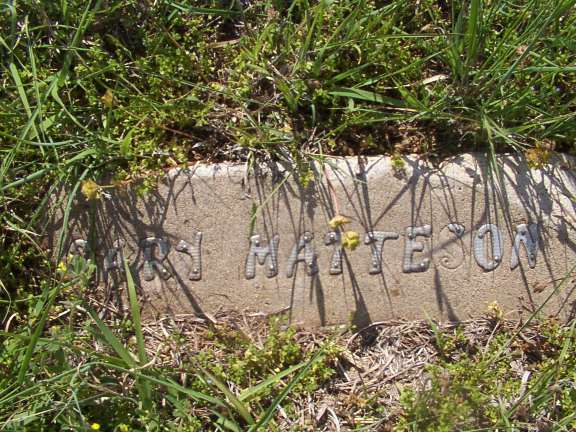 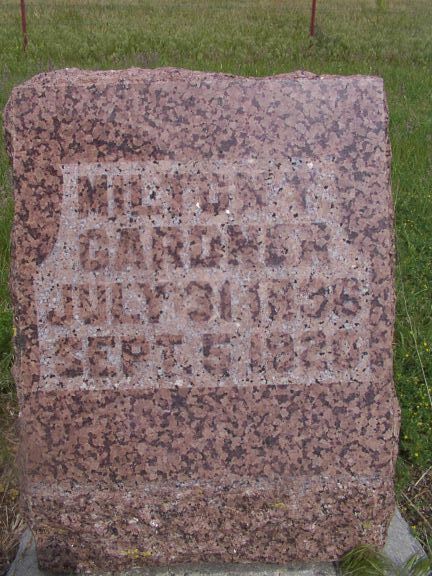 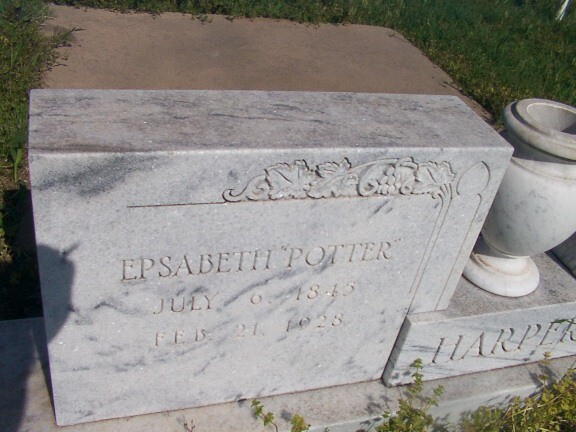 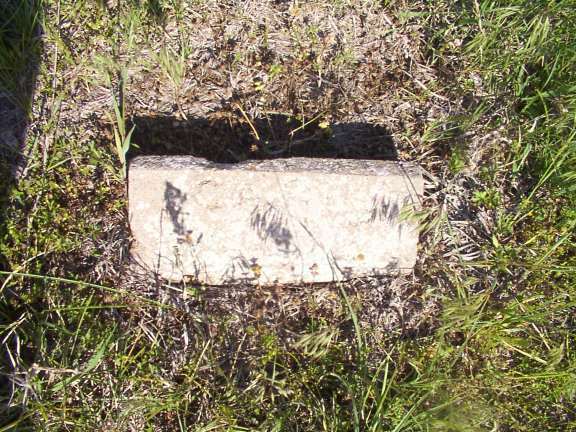 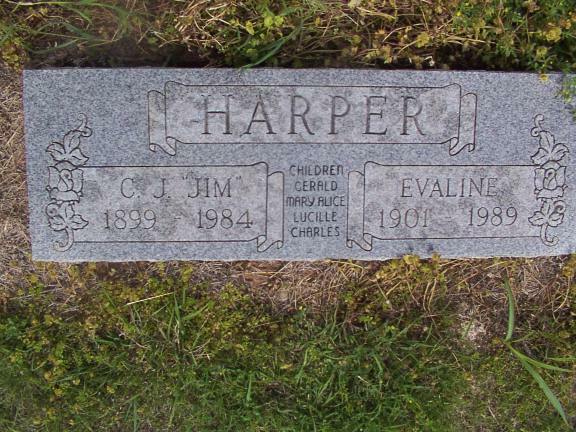 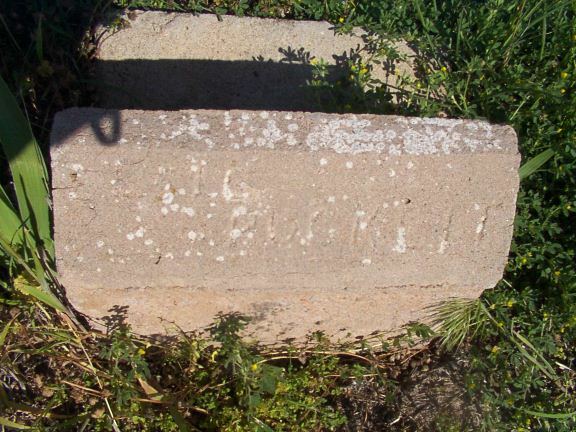 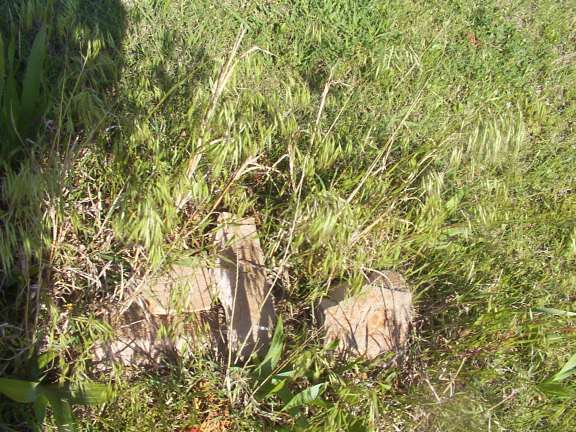 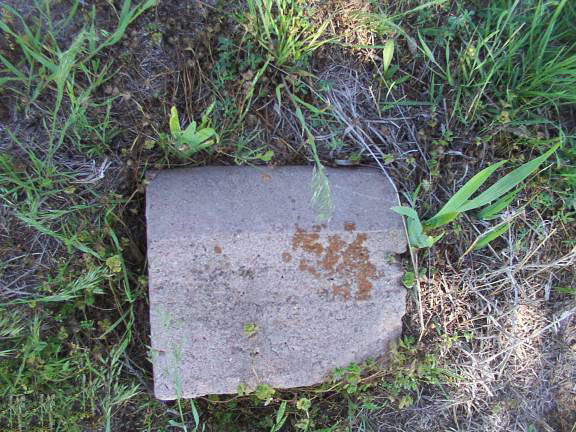 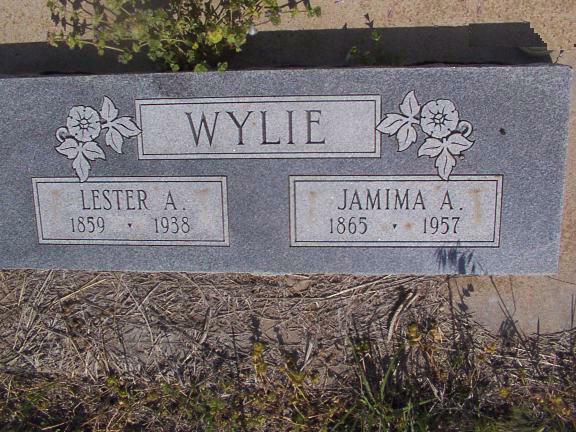 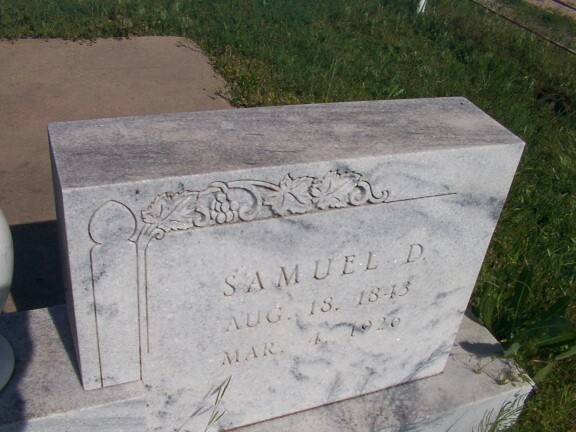 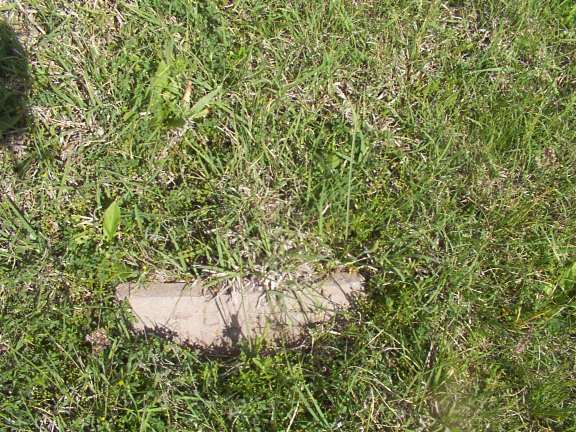 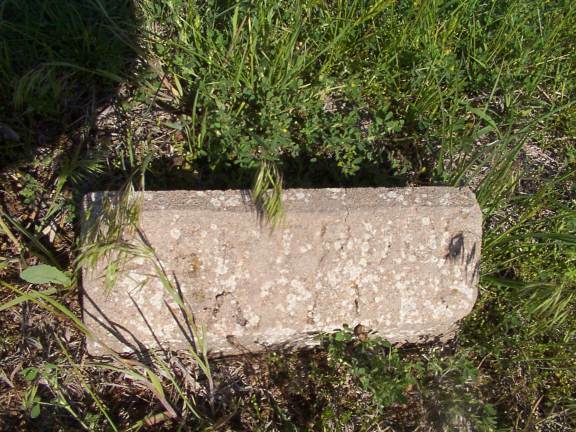 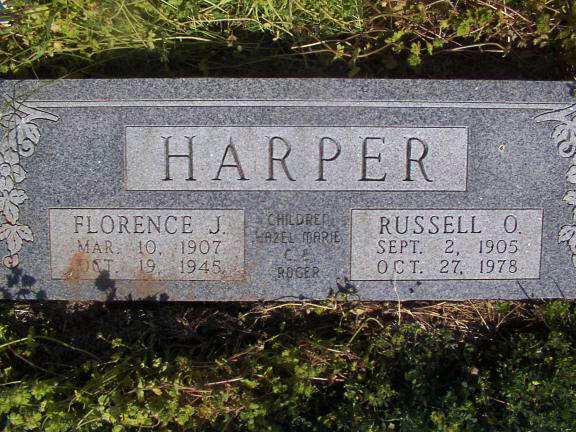 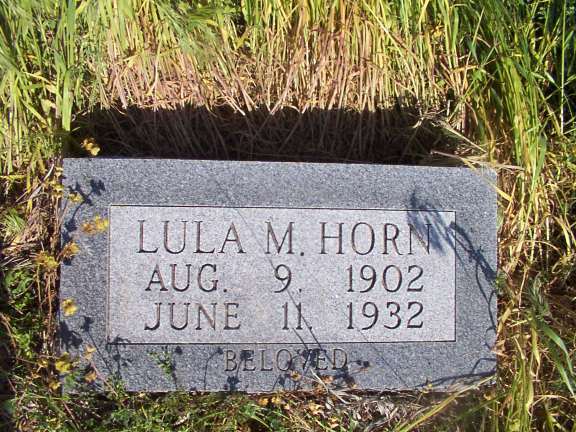 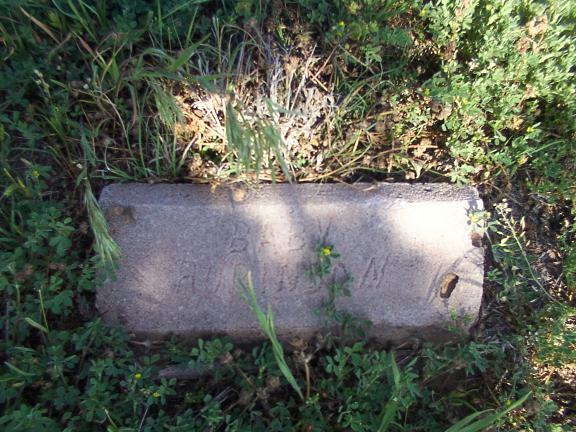 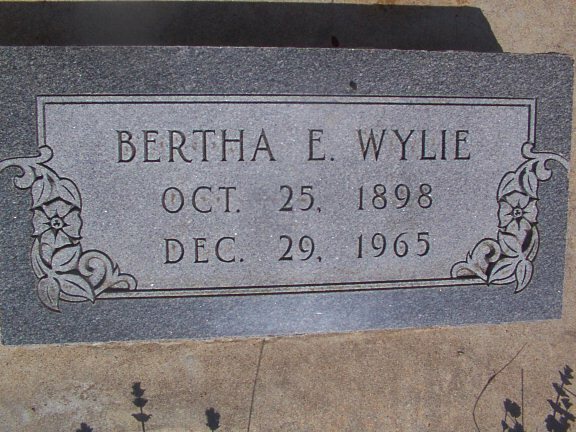 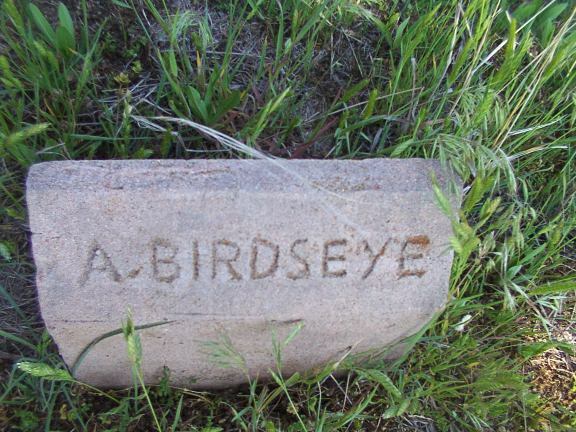 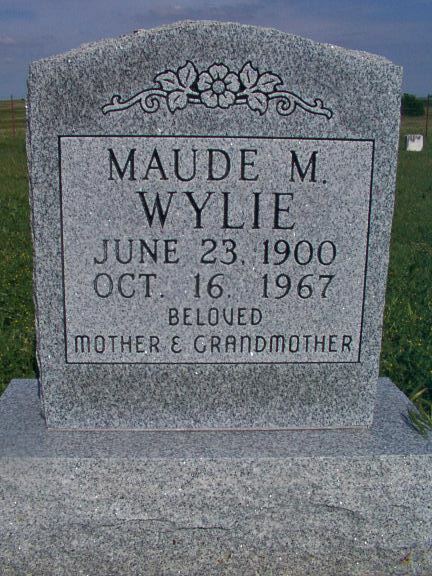 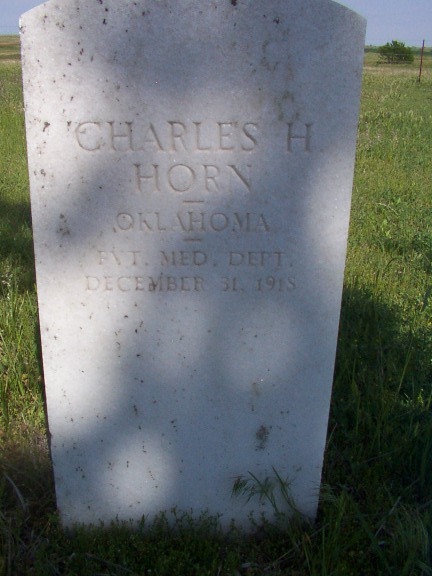 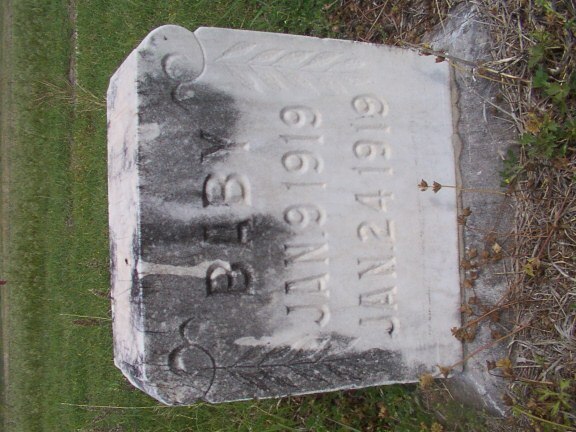 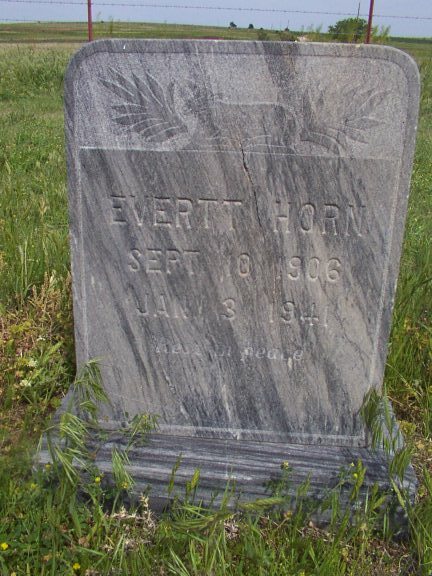 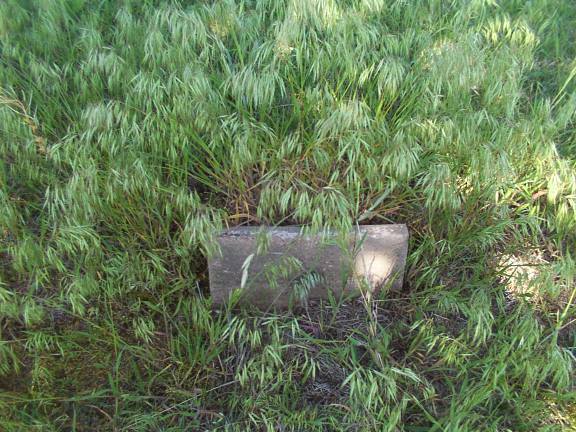 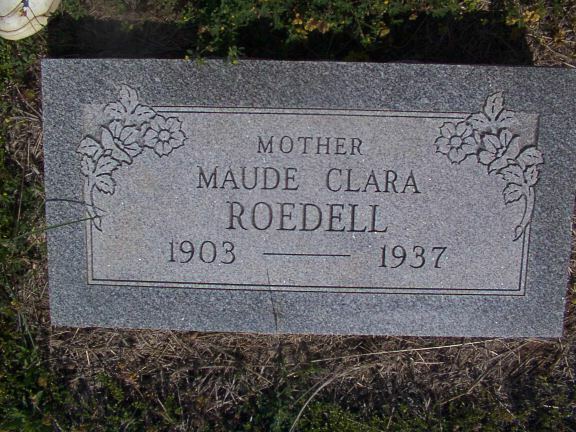 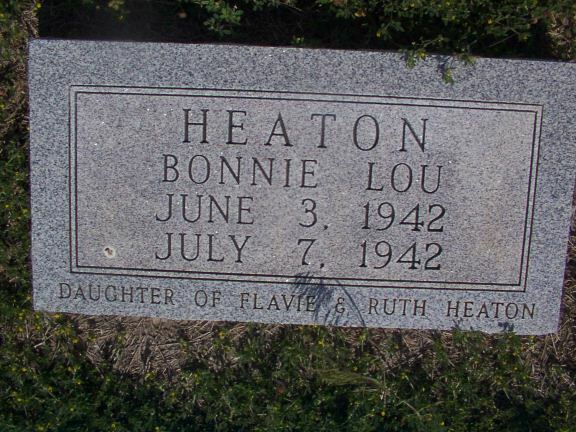 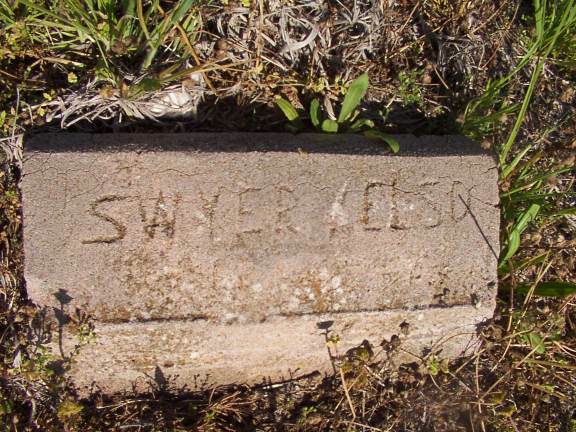 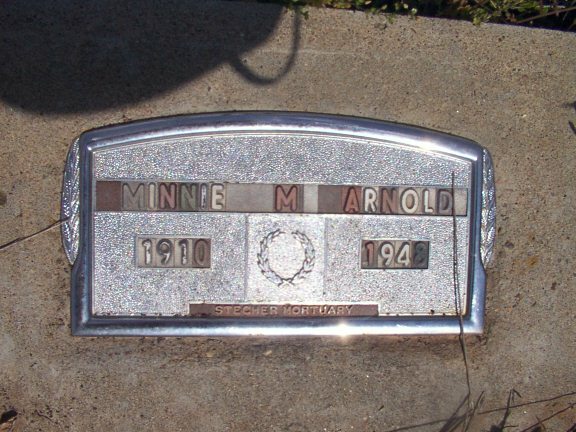 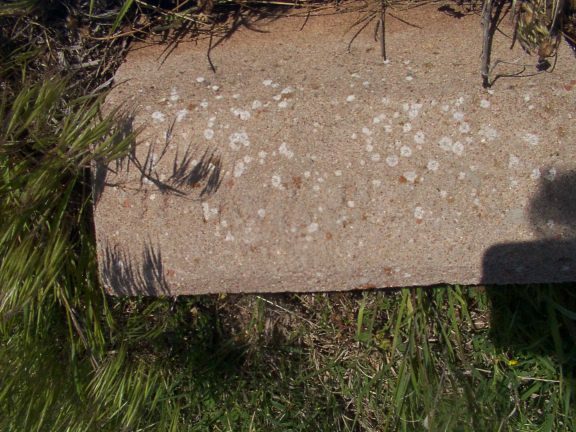 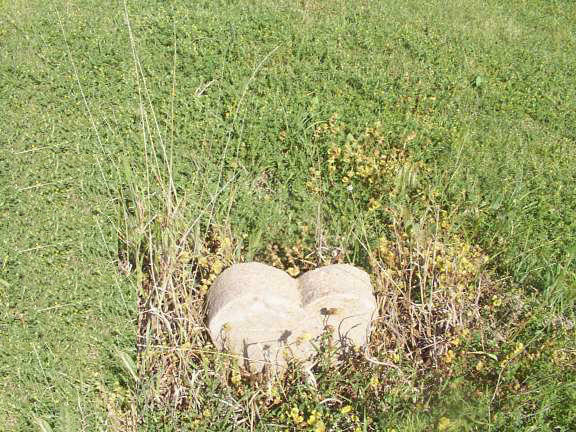 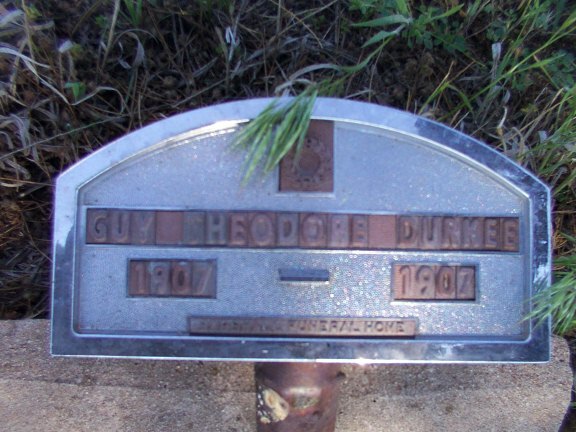 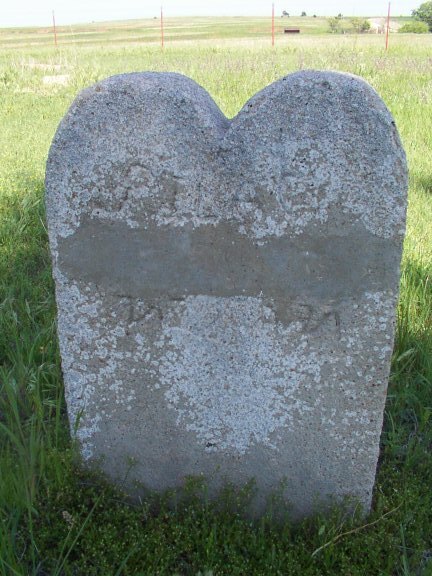 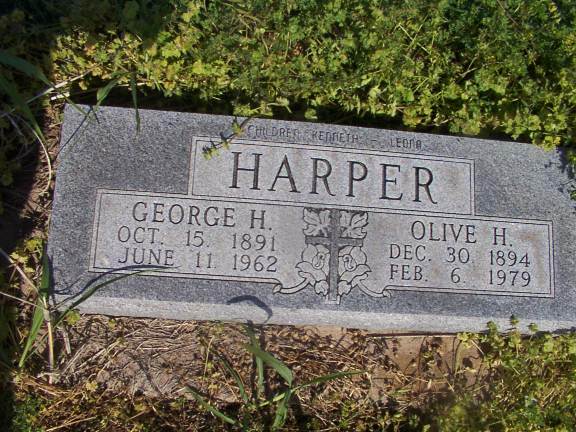 All additional information provided about this Cemetery was from Ruby Harper, retired Post Mistress of Quinlan,Ok. 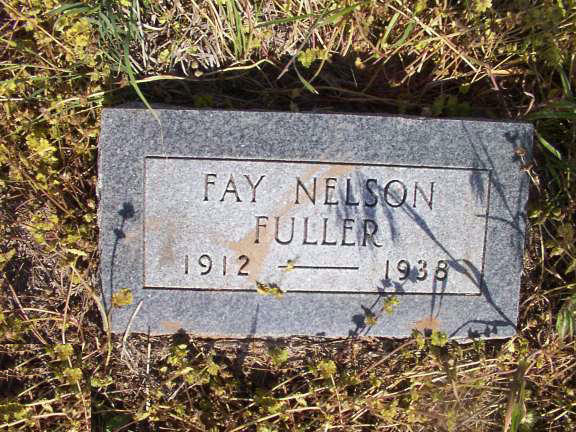 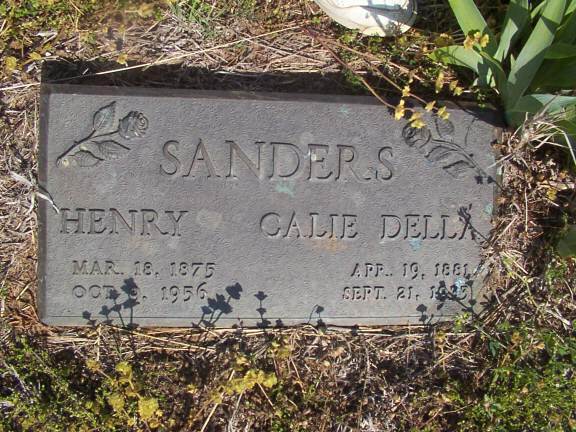 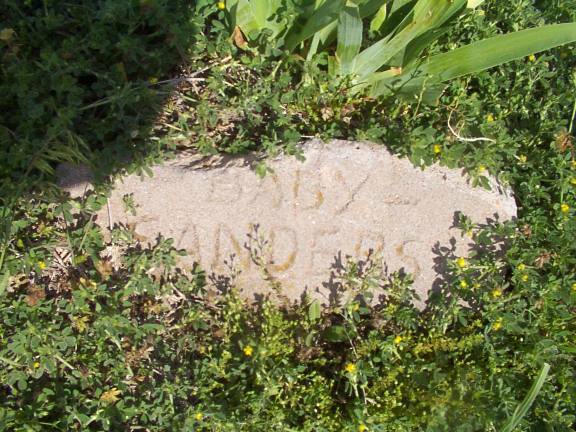 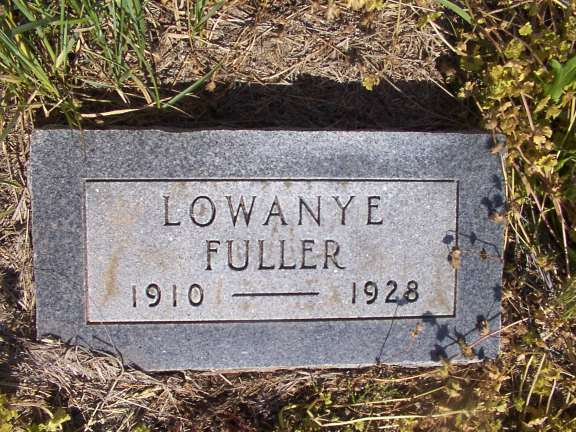 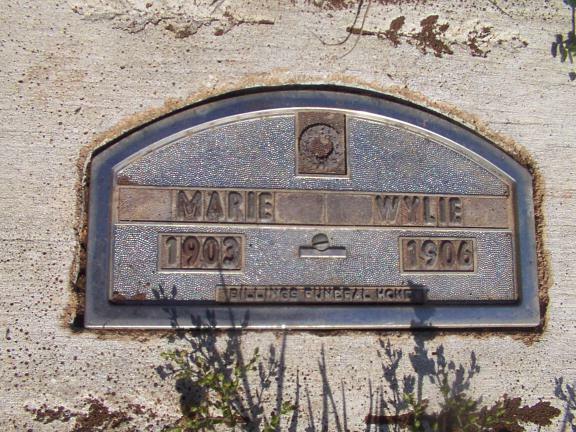 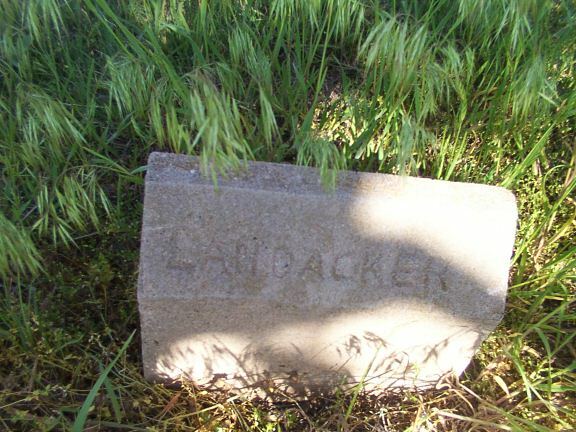 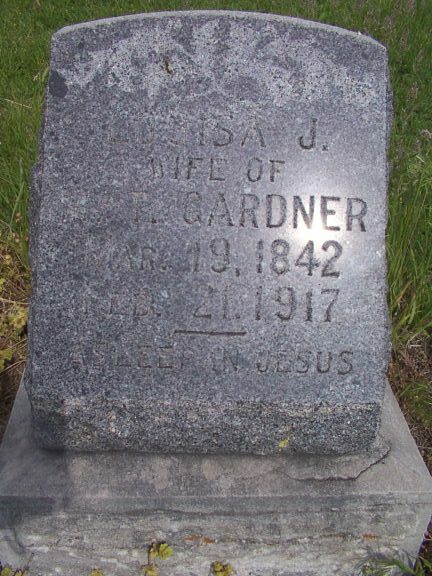 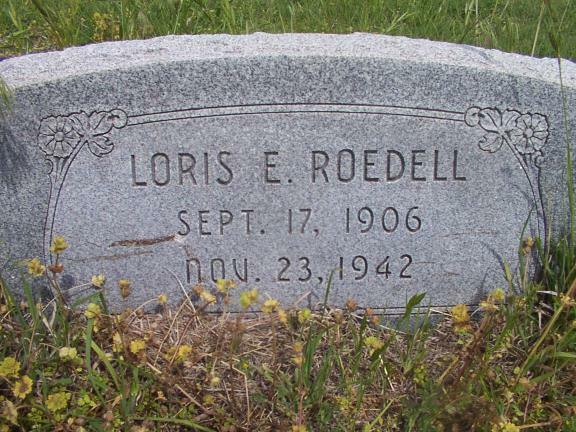 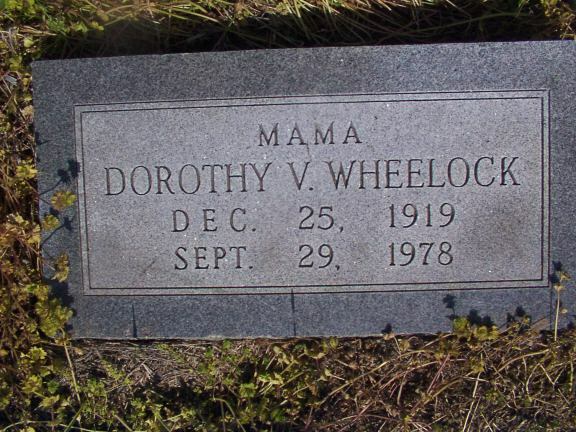 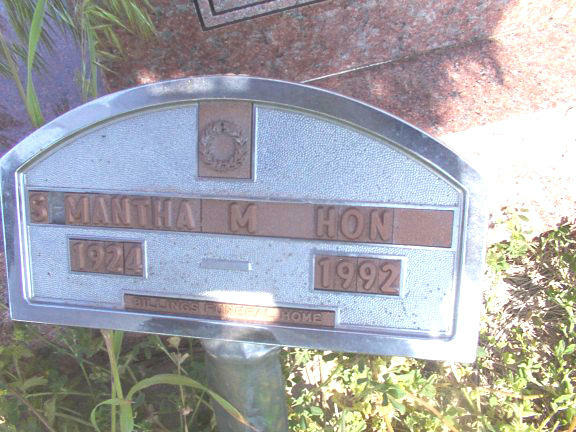 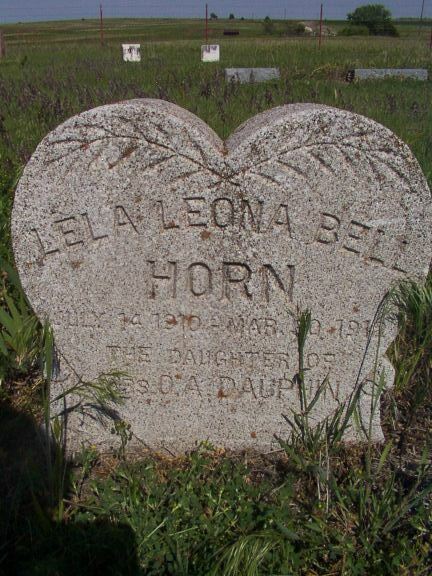 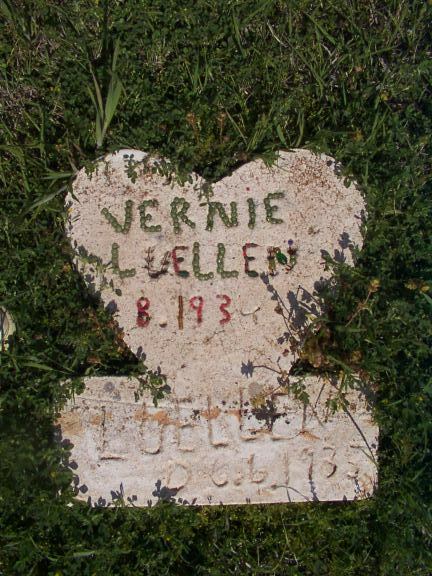 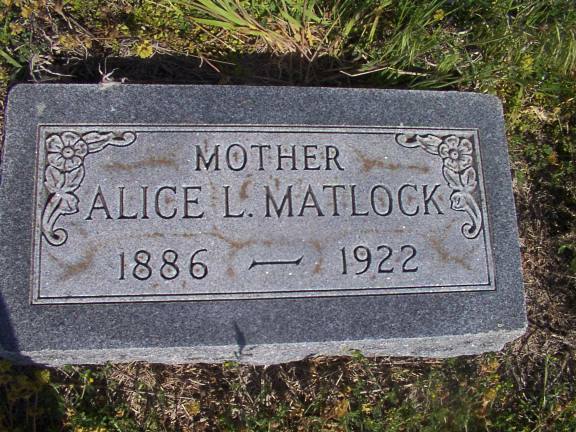 She is a lifelong member of the Quinlan Community; and is a dependent of the Harper's that donated the land for the cemetery. 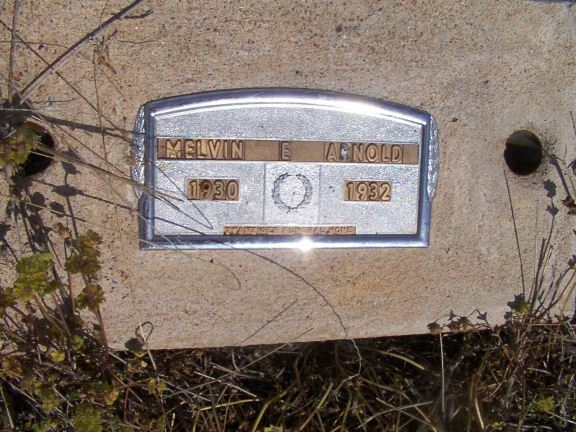 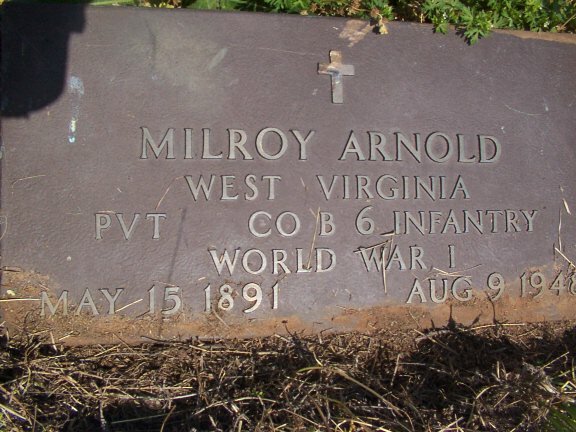 ARNOLD Milroy 15 May 1891 09 Aug 1948 WW I WV Pvt. 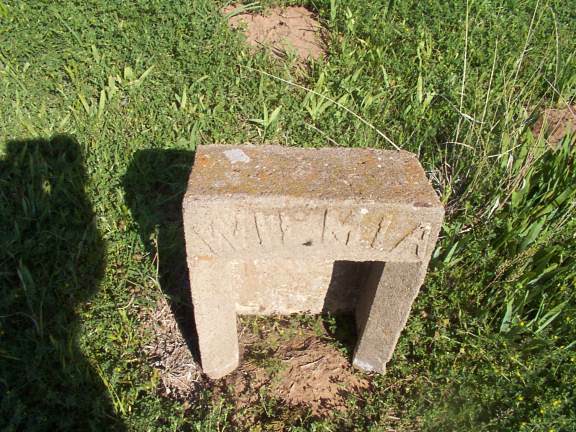 Co B 6 Inf. 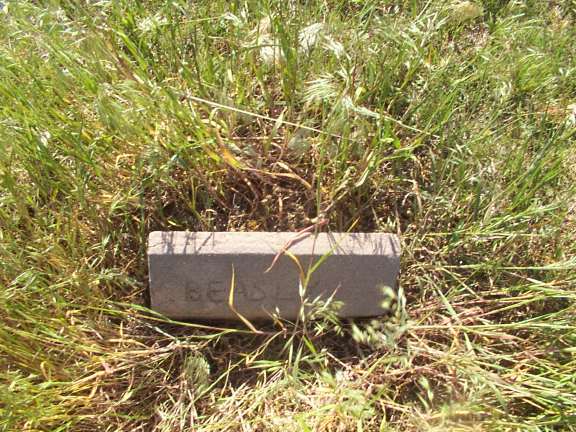 BROWN Mr. Civil War G.A.R. 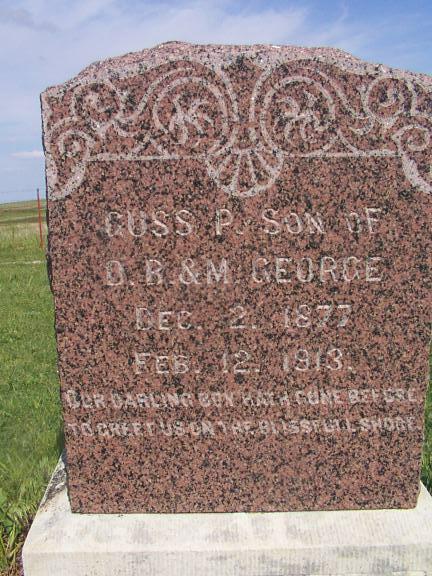 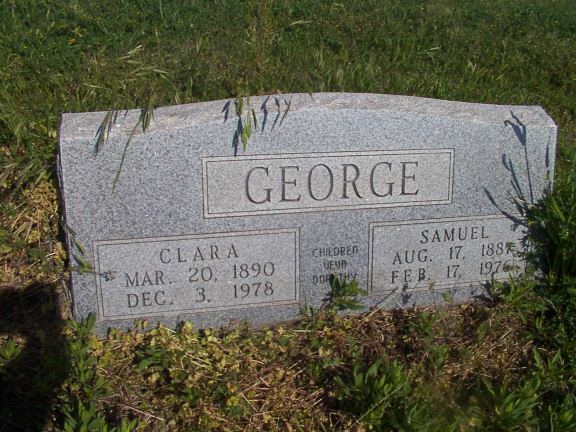 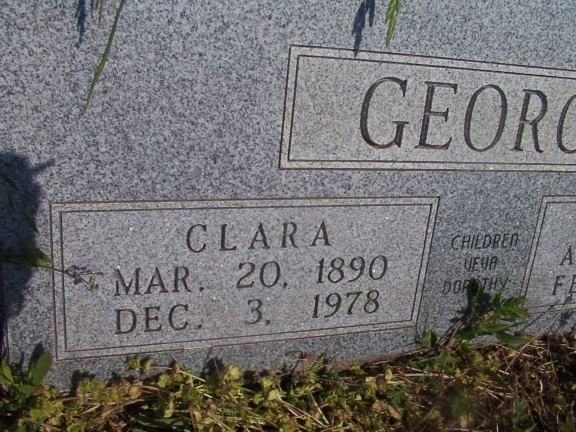 GEORGE Guss Ployman 02 Dec 1877 12 Feb 1913 s/o D. B. 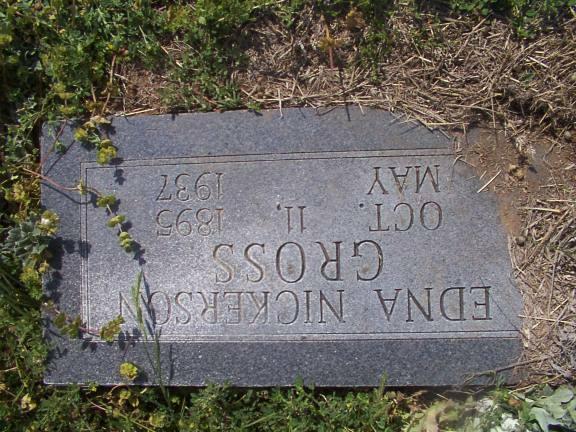 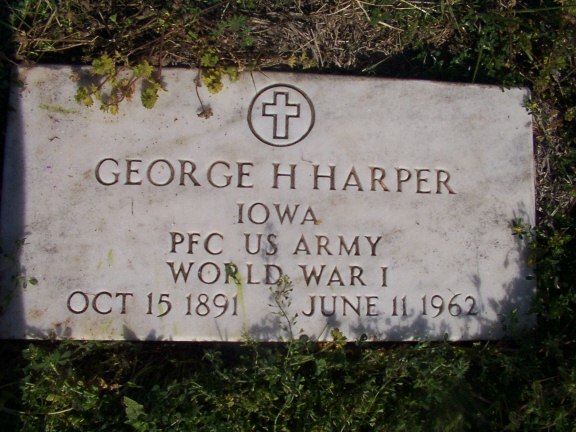 & M.
GROSS Edna Esther Nickerson 11 Oct 1895 May 1937 w/o Murlyn A.
HARPER Samuel D. 19 Aug 1843 04 Mar 1926 Civil War Co K. 30th OH Vol. 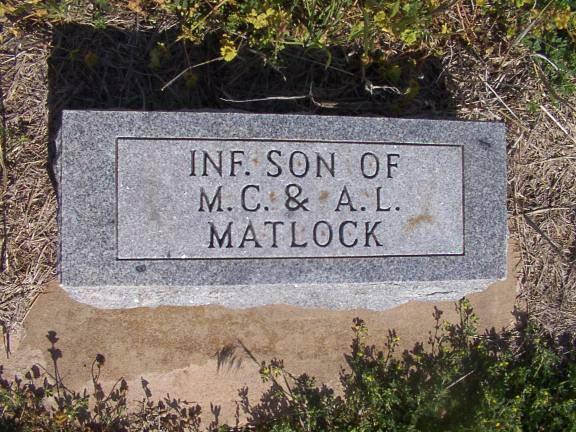 Inf. 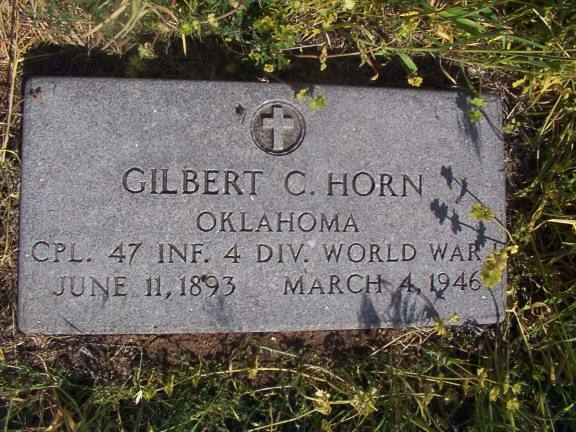 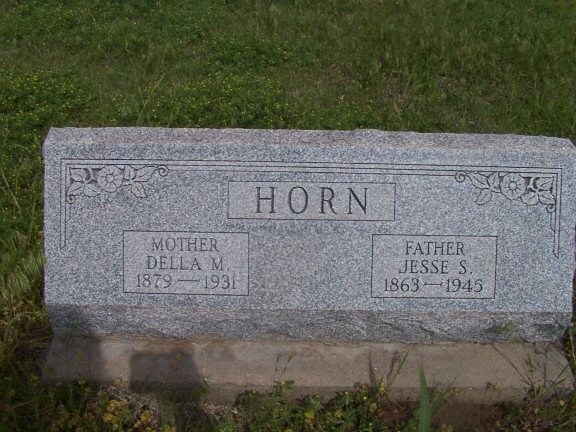 HORN Gilbert C. 11 Jun 1893 04 Mar 1946 WW I OK Cpl. 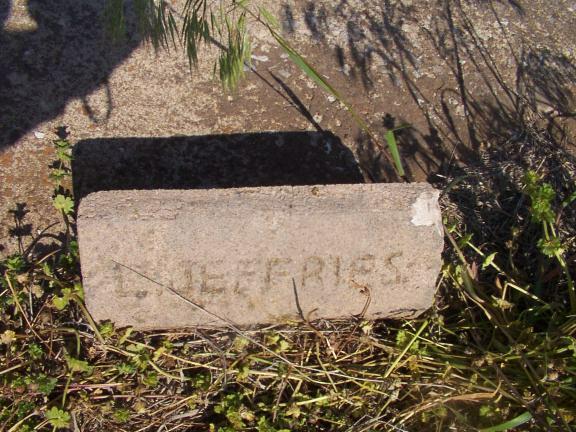 46 Inf. 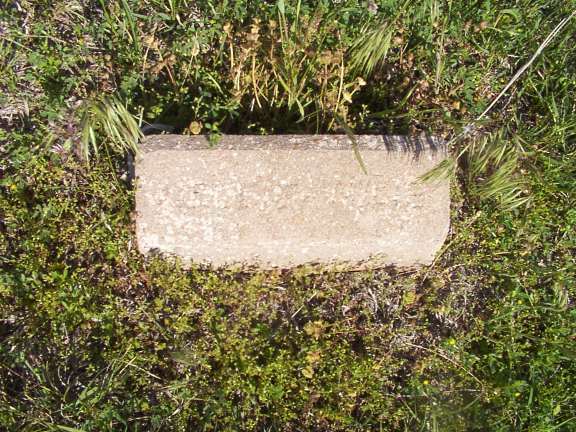 4 Div. 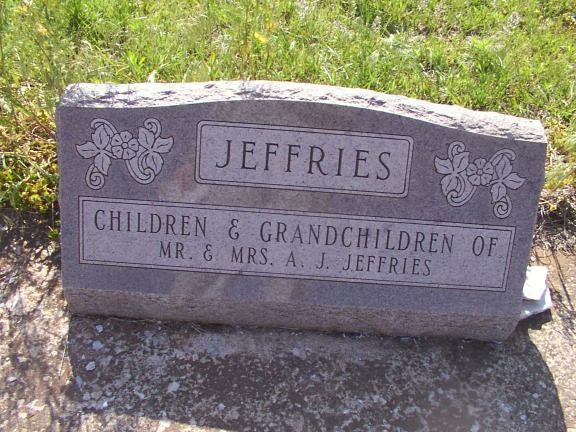 children & grandchildren of Mr. & Mrs. A. J. Jeffries - 3 infants Jeffries, 1 "Wiles", one"Bell". 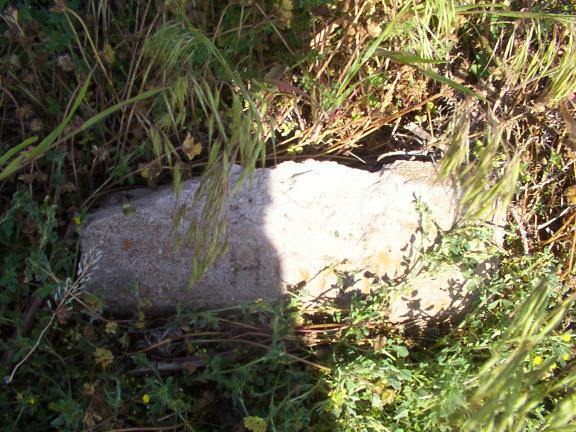 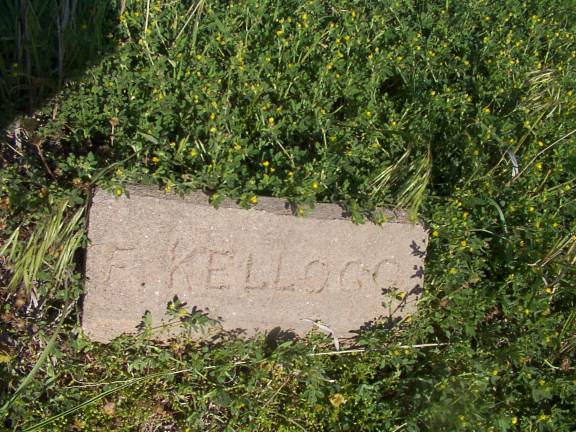 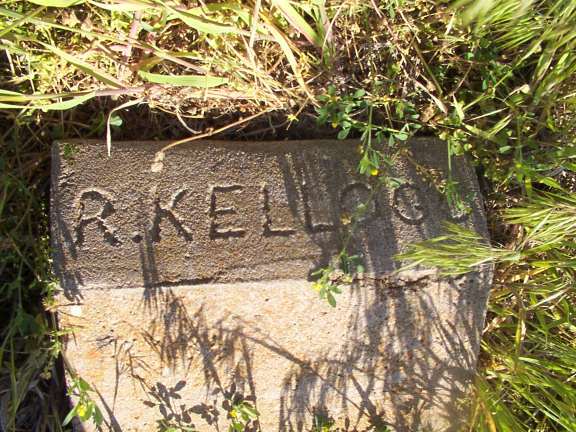 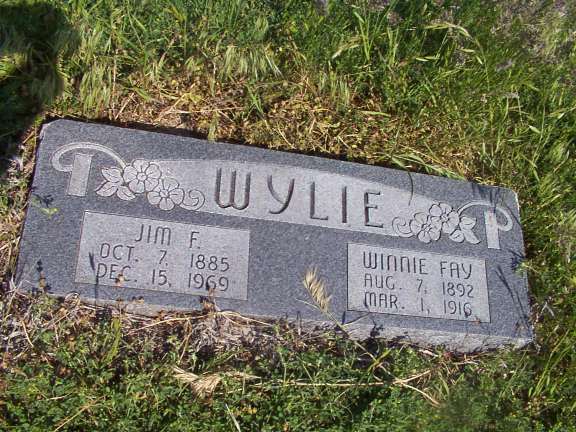 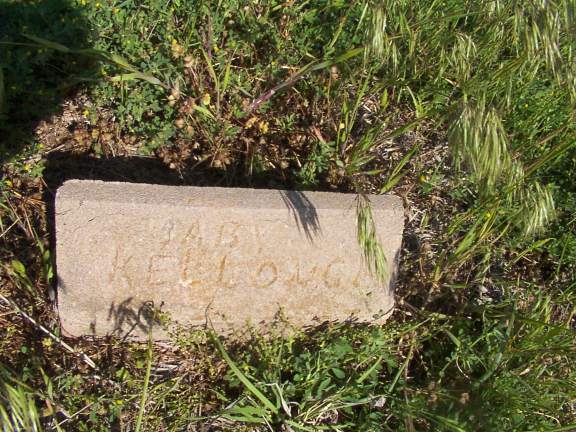 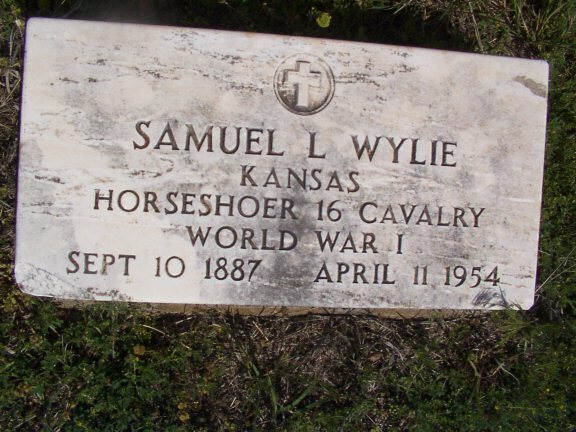 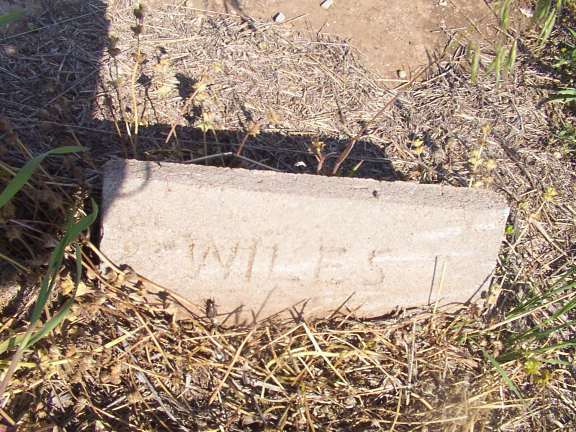 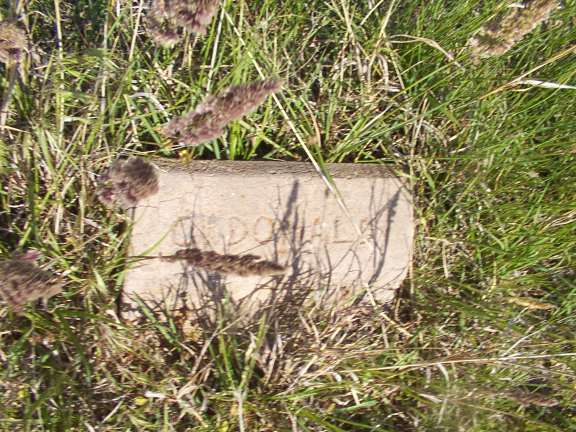 "Kellough" is the correct spelling for all of the stones indicating "Kellogg"
WYLIE Ralph J. 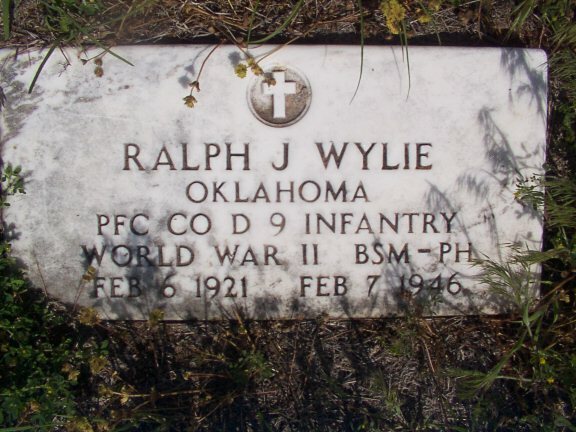 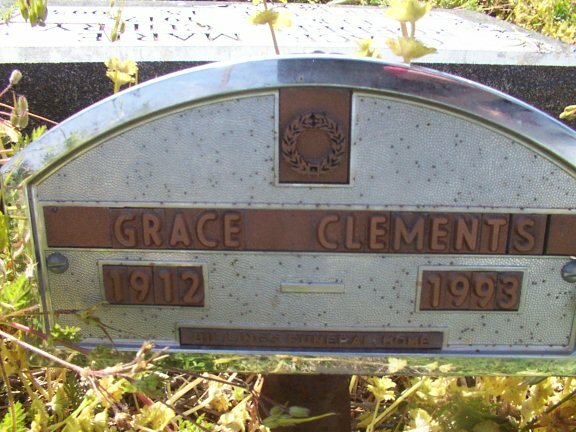 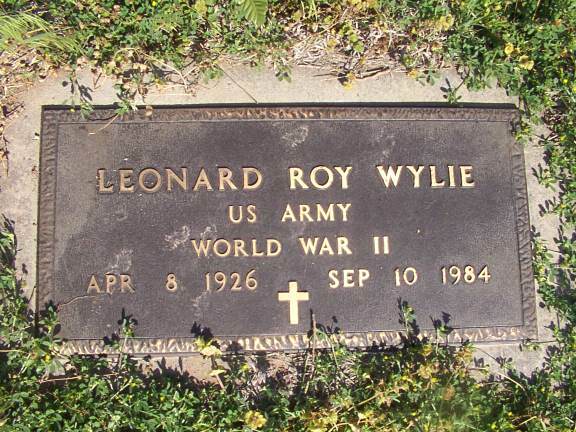 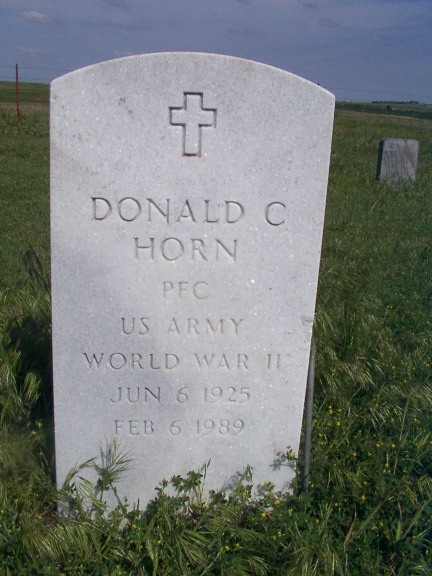 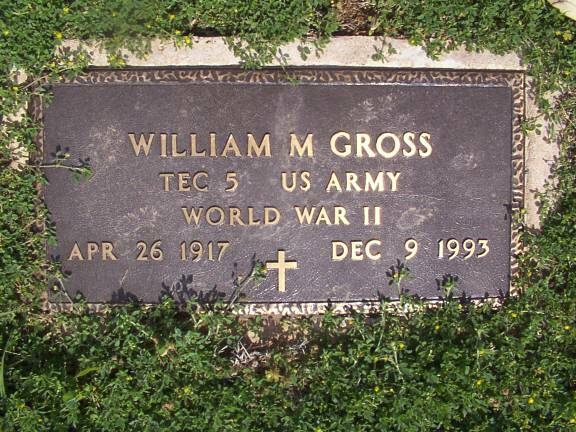 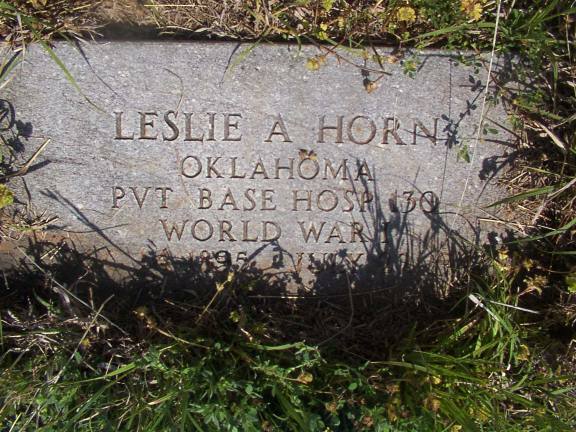 06 Feb 1921 07 Feb 1946 WW II OK Pfc Co D 9 Infantry BSM PH.